Nia FreeDance Conscious Dance !Fiesta! Nia FreeDance DJ's coming together to create Music, Movement and Magic! Join Adelle and Joanie for 2.5 days in beautiful San Antonio, Texas, as we dive deeper into the magic of Nia FreeDance! During the !Fiesta! weekend, we will explore and embody our dance at a more intimate level, deepen and expand our world of music and much more! Most importantly, the Nia FreeDance !Fiesta! is about coming together as a commUnity of dancers and sharing the JOY! The !Fiesta! 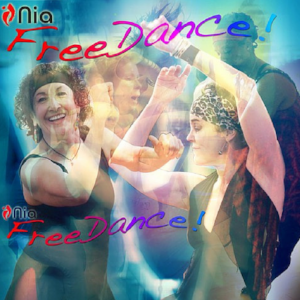 is open to all Nia teacher members who have taken the Nia FreeDance 2-day training. Only 40 spots available! Sign up below to hold your spot in the FUNtastic weekend experience!